Books are a standard component of a college education, but HCC has taken the concept to another dimension. 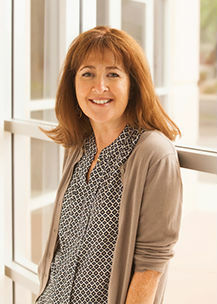 In the fall of 2015, the committee composed of HCC Professors Rebecca Adams, Karyn Smith, Kristen Carley, and Steve Mark; Librarians Jennifer Lutris and Peter Everett, and Counselor Marilyn Wehr asked all HCC faculty, staff and students to read Laura McBride’s novel, “We Are Called to Rise.” The book became required in several classes across the HCC curriculum. Multiple copies were available in the HCC Library and in the college bookstore. The sign-up list for Inter-Library loan grew. “We are Called to Rise” is a story about families in Nevada, but the issues are those of America today where cultures and points of view collide and co-exist. It relates how a split-second mistake can affect so many and, in this case, how it caused strangers to rise to extraordinary challenges and care for one another. The HCC faculty from across the curriculum applied the story to specific areas of study during the fall and spring semesters. A highlight of the year-long One Book, One College program takes place on Wednesday, March 30, when “We Are Called to Rise” author Laura McBride will be at HCC to read from, and discuss, her novel and sign copies. Themes raised in “We Are Called to Rise” will be discussed at HCC starting on March 28 and throughout April in the HCC Beacon Hall Events Center. The public is invited at no charge. Monday, March 28, at 12:30, English Professors Rebecca Adams and Ellie Bloom discussed the social issues raised in the novel. Wednesday, March 30, author Laura McBride will be on the HCC campus to discuss her debut novel “We Are Called to Rise.” At 9:30 a.m., she’ll be in Room A228 in Lafayette Hall to talk about how she was inspired to write the novel, and how she felt connected to and passionate about its themes and characters. What kind of inspiration helped carry her novel through the entire process? What was that process like? At 12:30 p.m. McBride will be in the Events Center (BH 214) reading from and discussing her novel. This discussion will be followed by a book signing. Books will be available for purchase at the event, or bring your copy. A catered reception and a chance for informal conversation with the author and students, faculty, and staff will be held in the Housatonic Museum of Art at 4:30 p.m.
One Book One College events then continue throughout April. Informal book discussions will take place in the Academic Support Center (LH B116) on Monday April 4 at 2 p.m. or Thursday, April 7, at 1 p.m.
A series of events throughout the month will examine social issues raised by and explored in the novel. Thursday, April 7 at 2 p.m., Psychology Professor Tonya Rondinone will discuss the reality of Post-Traumatic Stress as opposed to what is commonly believed in the popular culture and how it is depicted in the novel. Monday, April 18 at 12:30 p.m., Marilyn Albrecht, HCC’s title IX Coordinator will discuss the problem, prevalence, and prevention of domestic violence. Monday, April 25 at 12:30 p.m., Criminal Justice Professor Joanne Anzenberger and experts from the Bridgeport, Stamford, Orange, and Shelton Police Departments discuss police use of deadly force. Horizons Staff Writer Eric Vazquez will report on the overall program and the author visit in an upcoming article. For more information about the One Book One College Program, We Are Called to Rise, and the author, visit http://onebookonecollege.weebly.com. This article was based on a press release by Esther Watstein.